More of a ritual than a race the Aranmula Uthrittathi boat race is staged each year in the scenic village of Aranmula in the Kozhencherry taluk of Pathanamthitta district. Held on River Pamba and on the Utrhittathi asterism in the Malayalam month of Chingam (August / September) which is also the day of installation of the presiding deity of Aranmula Parthasarathy temple. The majestic snake-boats that take part in the event dedicated to Lord Parthasarathy (Lord Krishna) are known as palliyodams. These beautifully decorated boats will have men holding sequined parasols and they reach the race course to the accompaniment of traditional songs by the oarsmen onboard the snake-boats. 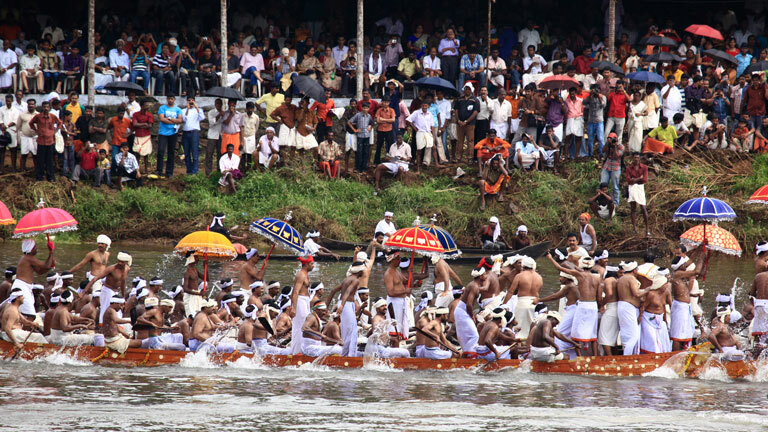 Aranmula boat race is often termed as the pooram festival among boat races.